TheRustedChain - The Blog: I love you. And me. I love you. And me. This blog is my scrapbook. So while I feel like you're going to become bored with my vacation photos, I have to share them here. Because this is my journal. My scrapbook. And I will have it printed and bound into a hard book. And I need to have my family vacation memories preserved. 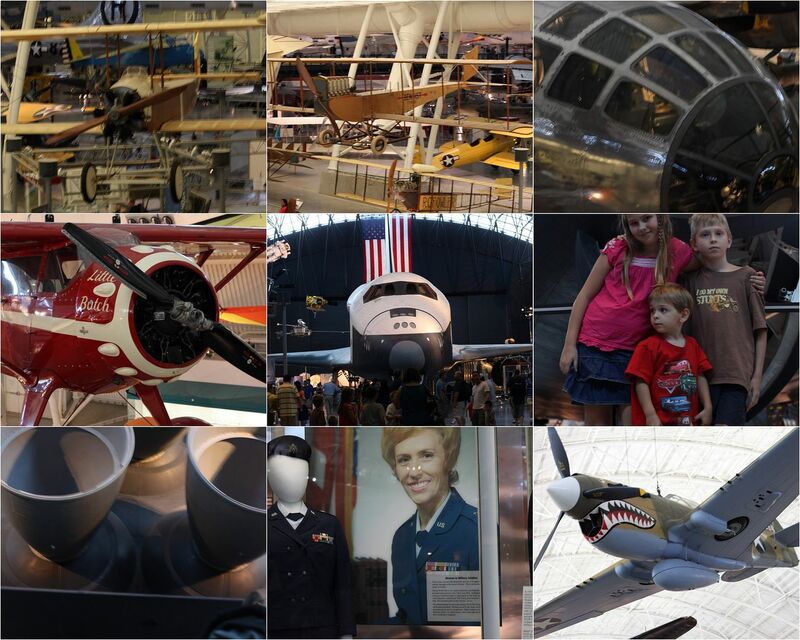 The Smithsonian Air and Space museum was so cool! Back when I was a flight attendant, I had a lot of interest in aviation. And I still love to go to air shows. Maybe someday I'll get crazy and become a pilot. 1. Scrawny boy. 2. Elephant. 3. Pretty building. 4. Our first hot dog stand experience. 5. Dum Dum. You give me gum gum. 6. Capitol building. 7. Our family, in front of the Washington monument. With me in the photo. Because I matter. 8. Dinosaur. 9. My amazing sister in law, who has five little kids and didn't even flinch when I asked if we could come crash at her place so I could meet Martha. More sites around the city. More to come. But this is the abbreviated version. Labels: martha stewart, TheRustedChain, Washington D.C.
What, you couldn't invite me over for a slide show? At least that way I'd get some cake, too. Because you would make a cake for me, right? Beki? Cake? We lived in DC back in the dark ages, when we were newly married, no kids. It was a perfect place to start-always something fun to do for free! 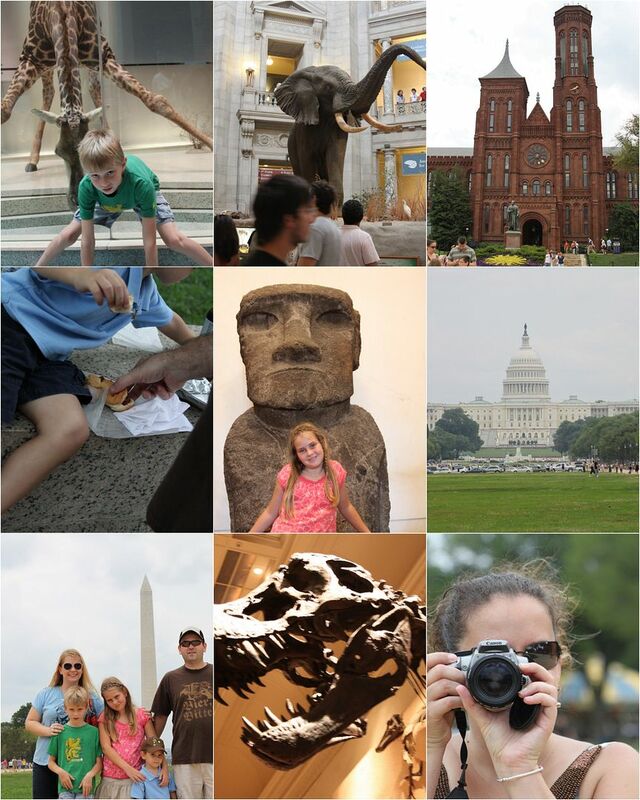 Your family looks like they had a great time! Love all the pictures! Looks like a fun time. I blog so I can remember everything when I go to scrapbook it later on. I still have tons of vacation pics to post too. It may bore everyone, but like you, my blog is my scrapbook. And I love looking at your pics. Always fun! 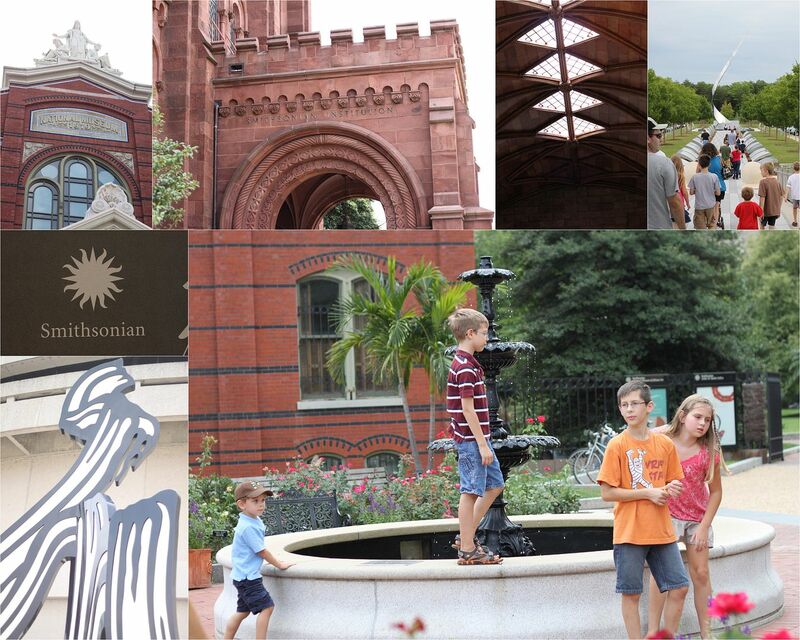 DC is one of my FAVORITE cities. I love that place!!! looks like fun. your kids will remember this vacation. and you DO matter... to a LOT of people! including me. btw- I may or may not have told a certain friend to ask you to help find a frog to friday's frog jumping contest. I like it! Looks like you had some fun!